People who work in vocations that are accompanied by a lot of stress will often times turn to drugs and alcohol to cope. That could mean having a couple drinks at the end of the work day or having 12. Naturally, people who drink excessively to cope with their mental toil are at a heightened risk of a substance use disorder developing. Perhaps even more concerning, research has been conducted that indicates that people in college preparing for careers that can be stressful, such as law students, will drink more than their peers who are studying other fields. It's not just law students, a new study has found that medical students are more likely to abuse alcohol than their peers in different courses of study, Science Daily reports. The findings come from a survey of 12,500 medical students. The study was conducted by researchers from the Mayo Clinic, and was published in the journal Academic Medicine. "Our findings clearly show there is reason for concern," said Liselotte Dyrbye, M.D., Mayo Clinic internist and senior author of the paper. 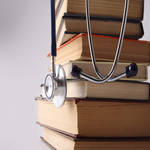 "We recommend institutions pursue a multifaceted solution to address related issues with burnout, the cost of medical education and alcohol abuse." Attending any institution of higher learning can cost a lot of money when all is said and finished. Those who then go on to become doctors can rack up even more serious debt. People who graduated from medical school in 2014 had an average of $180,000 in debt, the article reports. The cost of medical school jumped by over 200 percent between 1995 and 2014. If you are a student whose alcohol use has gotten out of hand, please contact Hope by the Sea. We can help you break free from alcohol, and help you learn how to cope with stress without having to turn to mind altering substances.